It’s June, it’s solstice time, it’s when the kids run out the front door of school screaming in jubilation. At least we did that back during the late 70s and 80s. Just after crossing the threshold of the school, me and John LaVere also did this ritual of turning back towards the large doors of Sacred Heart grammar school and chanted, “No more school, no more books, no more teachers dirty looks!” We didn’t really hate school, nor did the teachers give us dirty looks, but we reveled in the unshackled freedom of summer. The beautiful June weather gave us the freedom to move longer distances in less time by way of pedal power. We rode down to the Cataracts of Niagara, we pedaled our way to Fort Niagara, I tried to reach different habitats. It was freedom from studies and classrooms, and the weather also made it possible to play baseball, video games, tag, and (in my case), study bird books and look for birds. It was the big break of the year but I didn’t look for as many birds then as I did during spring and fall migration. There were too many other fun options, and, like so many other birders, I became lazy during June. It’s easy to become lackadaisical, to allow ourselves to think that we already know what’s out there, that there is nothing new to see. Eventually, most of realize that this is false, that nature is dynamic, it’s always changing, and there’s always more to learn. True, there tend to be fewer avian possibilities than during migration but when it comes down to it, you never know what’s out there unless you look and thank goodness someone is out there looking or we would never know about weirdo stuff like a Crested Caracara in North Carolina or an Orange-billed Nightingale-Thrush singing in the Black Hills. We can’t expect the mega crazy, but it’s always good to be outside and hanging with big old trees during summer anyways. At least that’s how I feel. 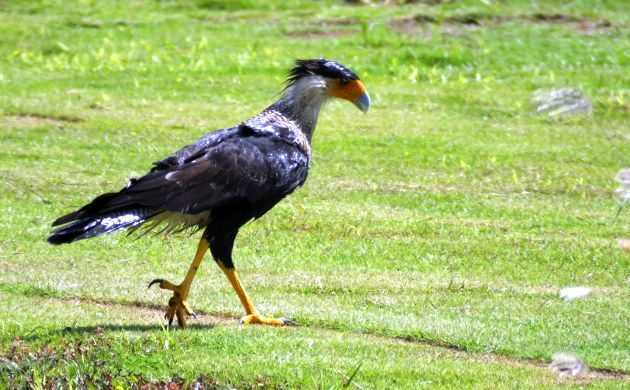 Crested Caracaras are a lot more common in Costa Rica. Spend enough time birding in Costa Rica, and you might be tempted to sleep in instead of going birding during June. After all, the migrants are gone, and there’s not much else to see….except that then you realize, wait, this is the tropics (! ), there’s always more to see! A lot of birds being naturally rare, you can bird that same area of mature forest time and time again and still see new stuff on every visit. If the birds don’t cooperate, maybe you will see some fantastic butterflies or insects you never saw before or even find a sloth. 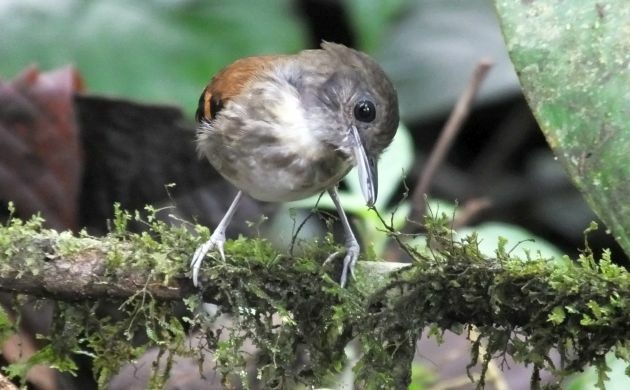 You might come across species you haven’t seen in years even though they are resident breeders, find seeding bamboo with species that won’t be encountered otherwise, or come across an unexpected antswarm that finally has that sneaky ground-cuckoo. 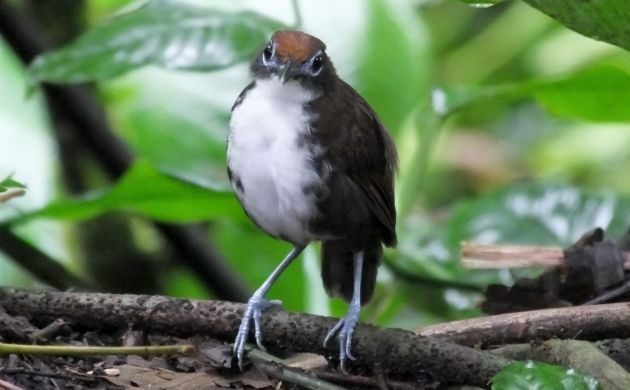 I have already seen several Spotted Antbirds this year but it’s always nice to see more. All you can do is expect the unexpected and that’s why there’s no bad time for birding in Costa Rica. It’s also why I could still see a lot more bird species even though I already have a healthy year list at the halfway mark. Each year, I hope to see or hear at least 600 species in Costa Rica, and with a list that tops 900 in a country the size of a small state, this is not out of the question. In fact, if you know how to identify birds and visit each major ecosystem, it’ pretty much a given. But, you still have to get out there and put in the time and maybe that’s why I give myself the task- it encourages me to bird more. Not that I need encouragement but other responsibilities do require me to find the time and plan accordingly. Fortunately, during the first half of 2016, guiding stints and other birding got me into a enough habitats to reach 634 species for Costa Rica, including a Slate-colored Seedeater heard a few days ago at a bamboo seeding event on the other side of the mountains. I probably hit 600 a couple months ago but of course reaching the mark only makes me want to go one step further and hit 650. Since I have six months to go and a couple hundred species to choose from, that should be likely but I will still need to put in the time because few common birds are left and the rest all require a fair bit of effort. Can I reach 700? If I had all the time in the world, the answer would be an absolute “yes!” but with time constraints, identifying 66 more species by the end of December is going to require some careful planning. It can be done but I will need some luck and enough time to see birds like Jabiru, Agami Heron, some shorebirds and seabirds, along with a hodgepodge of other species that are tough to see. Whether I reach 700 or not, I can’t really lose because trying for it requires as much birding as possible. Do you have any birding goals for the year? How many species do you hope to see, where do you plan on going?